Do you have an abundance of vegetables from your garden and not sure what to do with them?? 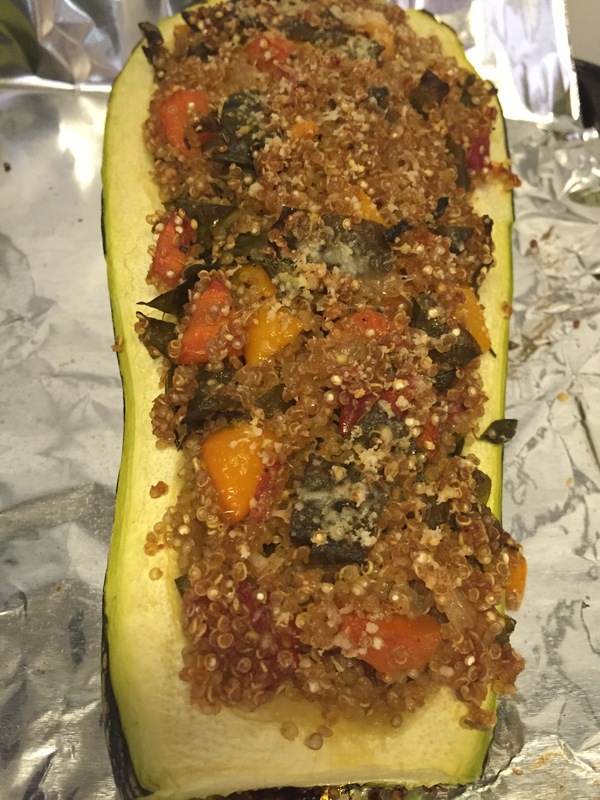 Well, find the biggest zucchini or yellow squash you have and stuff it with a mix of vegetables, quinoa and little cheese and call it a day! This will take about 1/2 hour to prep and 1/2 to cook. 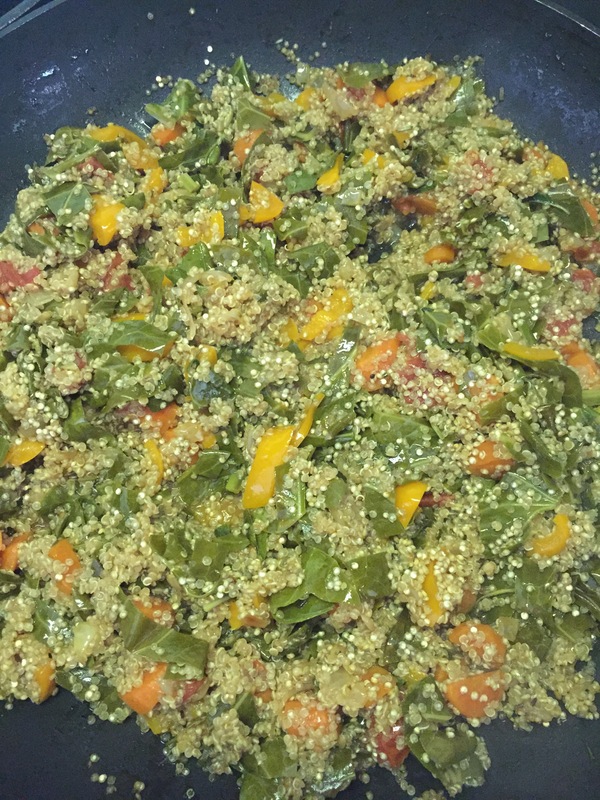 In my version, I used a number of vegetables and white quinoa. You can honestly use whatever you have available if you don’t have exactly what’s in this ingredient list. 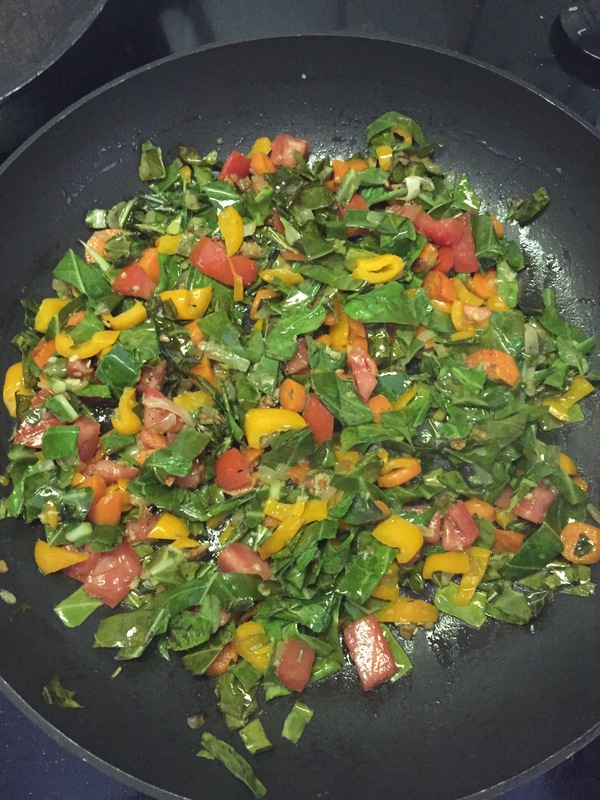 Chop the carrots, onion, pepper, collard greens and tomato. Heat the olive oil in a large sautee pan on medium high heat. Preheat the oven to 375. First add the carrots and let simmer for 3 minutes. Then add the onion, garlic, pepper, and collard greens and simmer another 5 minutes (or until veggies are soft) stirring every minute. Add the S&P also. Lastly, add the tomato. Add the broth, water, and quinoa. Mix well and reduce to medium heat. Simmer with the lid on for 10 minutes. While that’s cooking prepare the zucchini. Slice in half lengthwise, remove the skin and scoop out the center. Remove the lid, stir and simmer another 2 minutes or until the liquid has been dissolved and the rings show on the quinoa. Stuff the mixture into the zucchini, top with parm and bake for 20-30 minutes. It really depends on how big your zucchini is. It will look and feel soft. I’ve made this a number of different ways. I have found if you’re in a time restraint you can speed up the process by precooking the zucchini in the oven for about 20 minutes (for an extra large zucchini). Then adding your sautéed veggies and finish baking. I prefer a vegetable based recipe but for the meat lovers in my life I’ve also added sausage (hot or sweet) and it was also excellent! That’s a great tip thanks for sharing! Thank you so much! Happy to connect with you as well!! I will definitely check out your blog.